It is actually amusing to find many kungfu practitioners, including some masters, thinking that kungfu techniques are not as effective as Boxing or Kick-Boxing for combat. Hence, they discard kungfu patterns for Boxing or Kick-Boxing in their sparring. The reason, of course, is not that kungfu is combat inefficient, but that these kungfu practitioners do not know how to apply their kungfu for combat. In the Intensive Shaolin Kungfu Course in Frankfurt in June 2008, course participants spent some time applying Shaolin techniques against opponents using Boxing, Kick-Boxing, Muay Thai and Wrestling. 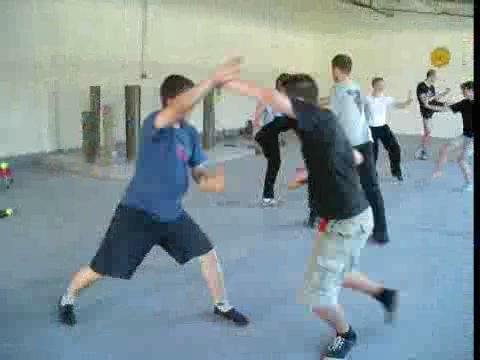 Applying Shaolin Kungfu against Other Martial Arts from Wong Kiew Kit on Vimeo.